Plus, five wines from Sherry-Lehmann that you won’t feel bad about dropping some serious dough on. 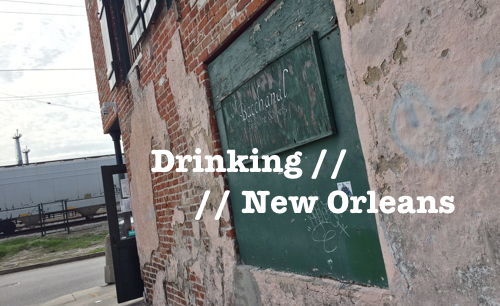 If you, like me, are not a high roller (yet) but want to drink wine like one, there’s a good way to accomplish this feat: scrounge up the dollars to get into a VIP tasting at a wine event. Of course, it has to be the right wine event, but if you do your research properly you could be in for a night of unbelievable wines, and pretending that the Bentley out front is your weekend ride. Over the past few years I’ve pretended to be a high roller at a good number of VIP tastings, but one that I find to be particularly exciting is the Sherry-Lehmann VIP Suite at Bottlenotes Around the World in 80 Sips. Sherry-Lehmann is one of the top wine and spirits retailers in New York (and, perhaps, the country). 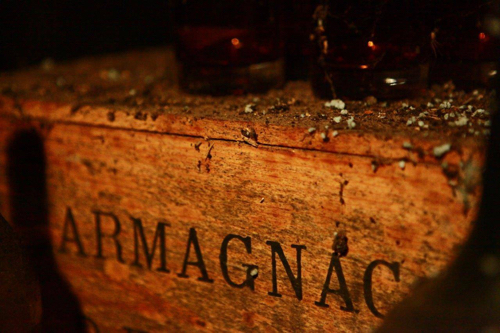 They’ve been around since 1934, and have built up an impressive business in hard-to-find and high-end wines. In short, this is the kind of host you want for your VIP wine tasting experience. 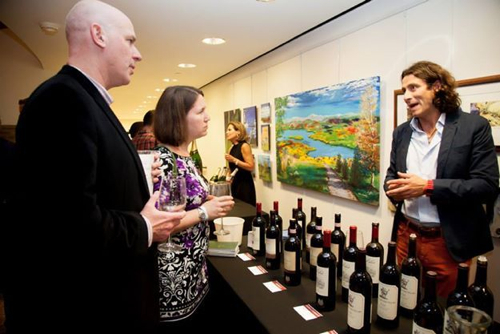 At the Bottlenotes event in Boston this year, Sherry-Lehmann presented about 50-60+ wines, including a rather impressive lineup of Champagne and Napa Cabs. Amongst the curated selection were big names like Cristal and Dominus, but also some lesser known and really spectacular picks. It’s always a pleasure to taste the new vintages of the big names, but I always look for wines from producers I’ve never heard of before. Many of the truly outstanding wines at events like this come from small producers like a Thienot, for example — one of the newest wineries in Champagne — who bring out their special releases. 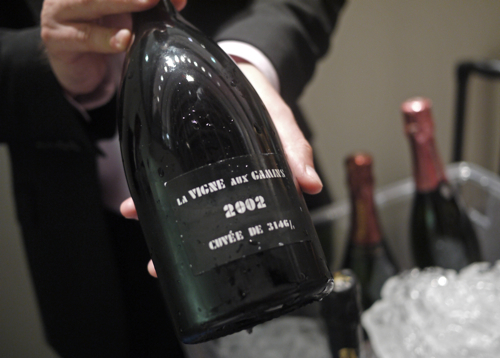 For Thienot in Boston, it was their 2002 La Vigne Aux Gamins, a Champagne made entirely from chardonnay grapes sourced from old vines planted in Grand Cru vineyards. Amongst a backdrop of at least a dozen $75 – $400 Champagne’s from major producers, I found this wine to be a true standout, screaming with bright minerality and a cacophony of flowers and fruit. 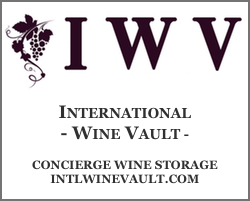 The wine received 93 points from Wine Spectator and sells for about $150 on Sherry-Lehmann.com. 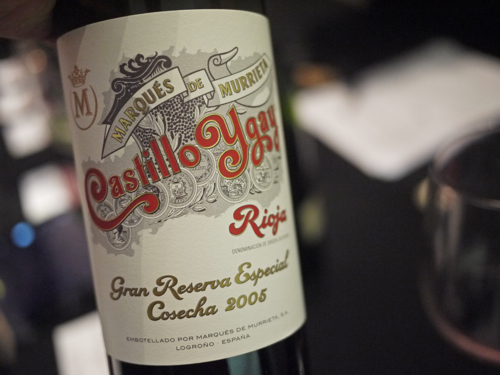 Another major standout at the Boston event was the Castillo Ygay Rioja Gran Reserva Especial 2005. I’ve been in a bit of a Rioja funk lately, but this wine came screaming in from the beyond and pulled me right out of it. A top of the line Rioja, and easily one of the most impressive Spanish wines I’ve ever had; complex, powerful, harmonious and elegant. Castillo Ygay Rioja 2005 is a blend of Tempranillo and Mazuelo, and I promise it will knock your socks off. 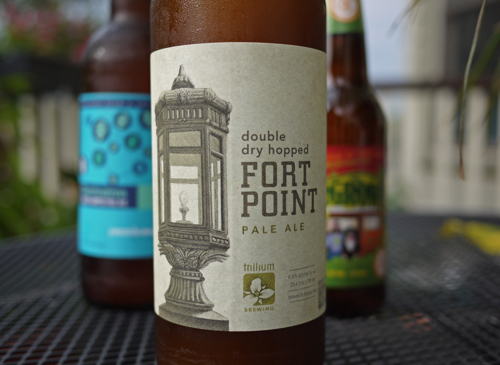 Wine Enthusiast gave this wine a 95 and it’s currently available on Sherry-Lehmann.com for a little under $100. One additional small production wine that blew me away at the Boston event was the Ceretto Barbaresco Bricco Asili 2009. This Italian gem was absolutely stunning; elegant floral and spice aromas, with layers of cherry and licorice and dusty tannins. Wine Advocate gives this wine 95 and it’s currently available on Sherry-Lehmann.com for about $150. Of course, the big names can also punch hard. Like, for instance, the Stag’s Leap Wine Cellar’s 2006 Fay and Terlato’s Episode. 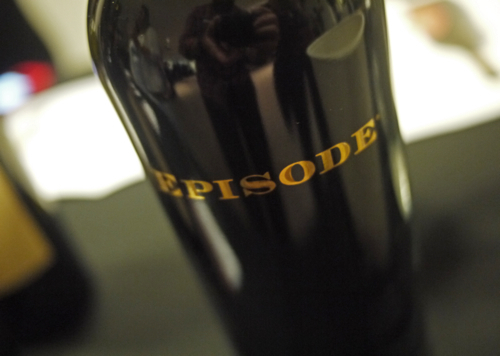 These are the kind of Napa Cabs that you usually only read about in Spectator, but never actually get a chance to try. Unless, of course, you don’t mind plunking down $150 on a bottle. But when you do get to taste this caliber of Napa Cab, it makes you realize very quickly why people go crazy for these wines. It’s hard to put a price tag on an evening that let’s you indulge in these kind of wines and feel, even for a few hours, like the owner of a bright red Ferrari. A ticket to a VIP experience like the Sherry-Lehmann Suite at 80 Sips may cost you about $200 to get in, but you really are getting an unbelievable opportunity, and an exclusive window into the wines of the elite. Another aspect of this particular VIP experience that I like is that they cap the attendance for each event to only about 40 or 50 people. 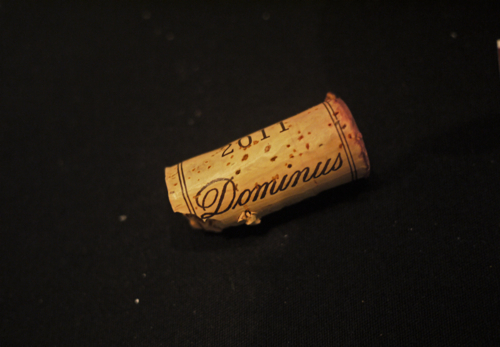 So, you’ll never be waiting for a pour, and if you want to take your time and relax with that glass of 2011 Dominus, then you can go ahead and do that without fear that they may run out. 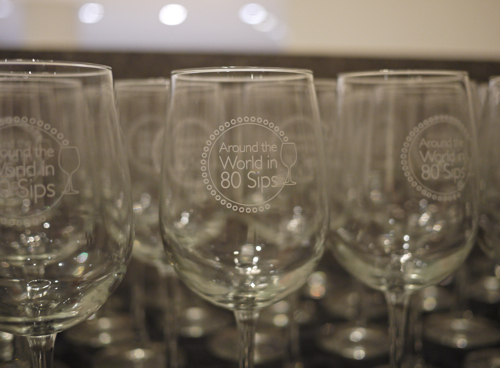 The Bottlenotes Around the World in 80 Sips 2014 tour is just about wrapped up for the year. There’s one more stop to come: New York City on November 7th — which I’m sure will be extra spectacular since it’s Sherry-Lehmann’s home market. But if you’re looking to get a glimpse of the good life and you’re not in NYC, I’d recommend keeping an eye on this event next year. Either that, or just start making enough money that you can buy all these wines for your own cellar. A big thanks to Sherry-Lehmann and Alicia at Regan Communications for the invite.